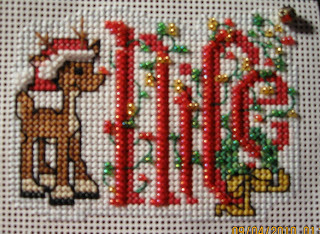 Christmas Ornament Stitch-A-Long: A Mill Hill finish. Your little reindeer is so cute! I love Mill Hill too.